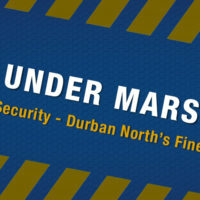 We are a Durban North based crime prevention company. Our combination of guarding, street patrols, investigations, training, armed response and electronic security allow us to offer an unrivalled service to both the north Durban community and companies based in KwaZulu-Natal at large. Added to these services, we have also built a close working relationship with various local community forums, neighbourhood watches and the SAPS to establish ourselves as one of the few genuine crime-fighting companies in the country. Our policies and procedures enforce a high level of integrity, professionalism and quality of service. PSIRA CERTIFIED: Private security industry regulatory authority. 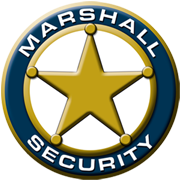 For your family: In a world that is filled with so much negativity and fear, Marshall Security is dedicated to giving you peace of mind, by offering a service tailored to bettering our community, to taking north Durban back from that negative element, from the crime and the fear and giving it back to the families, to the neighbours, to the kids visiting friends down the street. For your company: Companies, enterprises and businesses are not just for personal gain, they are also our countries lifeblood. As a privately owned company ourselves, we can appreciate this fact, and that is why we don’t just stand watch, we stand guard. We are not just a deterrent, we are an organized, professional force, trained to protect, equipped to handle any circumstances and ready to make a difference.